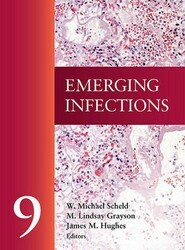 The tenth book in the Emerging Infections series features chapters written by leading infectious disease experts, who offer perspectives from basic and clinical research, epidemiology, and public health. Its coverage of current and emerging threats makes Emerging Infections 10 essential for anyone involved in the fight against infectious diseases, including professionals in microbiology, epidemiology, public health, and clinical and veterinary medicine. Essential resource for the fight against emerging infectious diseases Incidences such as the 2014 Ebola epidemic in West Africa and the 2015 appearance of Zika in Brazil provide dramatic evidence of the continued ability of microbes to emerge, spread, adapt, and threaten global health. The challenge facing infectious disease specialists and public health professionals is to improve and find new diagnostic, therapeutic, and prevention strategies. 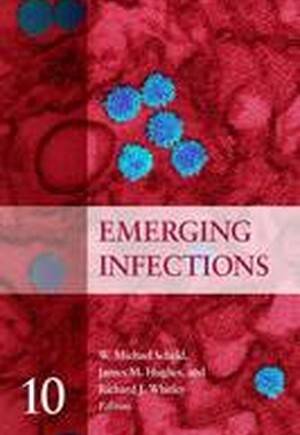 The editors of the 10th installment of the Emerging Infections series have compiled the perspectives of leading infectious disease experts into 22 chapters that provide important updates on a broad range of emerging and reemerging bacterial, viral, parasitic, and fungal infectious diseases in the United States and globally. In addition to focusing on MERS, Ebola virus disease, chikungunya, and Zika virus disease, Emerging Infections 10 explores the global threat of antimicrobial resistance in reviews on carbapenem-resistant Enterobacteriaceae, multiply-resistant gonococcal infections, non-typhoidal Salmonella infections, and artemisinin-resistant Plasmodium falciparum malaria. Topics include both recently- and long-recognized diseases that pose challenges for the clinical, laboratory, research, public health, and animal health communities. Emerging Infections 10 presents new and emerging strategies to prevent, control, and eradicate infectious diseases and guides readers to the primary literature where they can explore individual topics in greater depth. This book is a valuable reference for professionals in microbiology, epidemiology, public health, and clinical and veterinary medicine.